Hero Shooting Nylons are 33" long (Goalie are 66"), and come tipped with the signature black Hero tip. 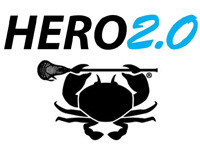 HeroStrings are the result of a collaboration between two leaders of the lacrosse mesh industry, East Coast Dyes and Jimalax. HeroStrings combine the innovative vision and design of East Coast Dyes with the world-class manufacturing capabilites of Jimalax. HeroStrings were engineered with performance in mind. 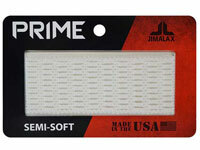 The sidewall strings are tightly woven and will not loosen or lose tension, while the shooters are soft yet durable for a smooth, accurate release. Weatherproof - HeroStrings are woven with a hydrophobic fiber, allowing them to stand up to extreme weather conditions. LockTec™ - Out textured strings feature LockTec™, which keeps knots tight and maintains sidewall tension. 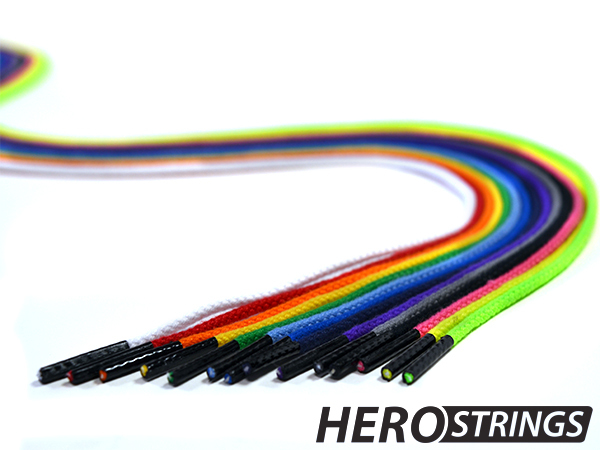 Durable - All HeroStrings are made with abrasion resistant fibers for maximum durability and increased longevity. 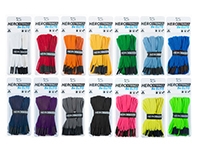 HeroStrings are proudly manufactured in the United States. Now it's your turn to Be ELITE.